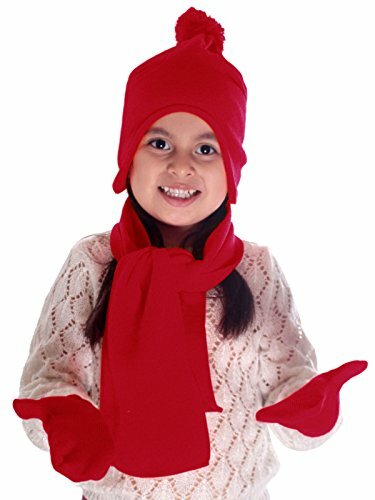 Kid's winter knit fleece set features a scarf, hat, and gloves. Perfect to keep you looking fashionable, comfortable, and warm! The rich warm feel of fleece knit material is soft against your skin but strong against the harsh cold weather. Enjoy the cold months in comfort and style with this three piece winter set. Great winter fashion accessory or gifting idea and perfect for outdoor activities. 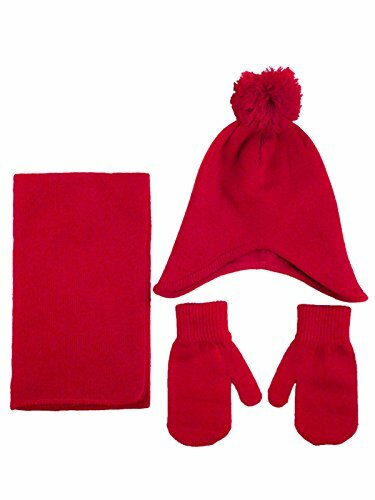 Size Hat: Hat Diameter: 16" - 20", Height: 7" - 9.5"
Size Scarf: 43" x 6.5"
Size Gloves: Length: 6.5",Width: 4"